BBC Radio Leeds will provide commentary for three of West Yorkshire’s biggest Football League clubs following a raft of broadcast partnership deals. A new three-year contract with Bradford City brings the Bantams' live action back to the station after a three-year absence. The station's partnership with Leeds United has been extended across the 2016/17 season, while the station will also continue to be home to Huddersfield Town commentary for another two seasons. 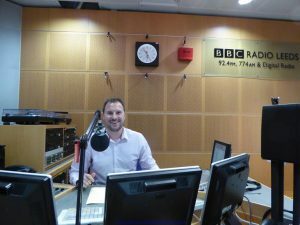 Sanjiv Buttoo, managing editor of BBC Radio Leeds, said: “It is always an important ambition for a BBC local radio station to provide a platform so everyone can have access to our sporting teams.